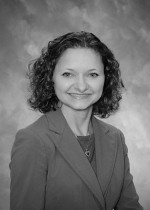 Janet Hurley, MD is a family physician who graduated from Texas A&M College of Medicine in College Station, TX. She completed her residency at the University of Texas Health Center in Tyler, TX, where she later became a staff physician and served as a founding member of their Physician Coding Advisory Committee. In this role she refined their retrospective DRG query process and assisted with implementation of compliance and quality programs for the hospital. She currently works with the Trinity Mother Frances Health System in Tyler, TX, where she has assisted with concurrent inpatient chart review and documentation improvement, and is in active practice as a part-time family physician. Dr. Hurley has 15 years of leadership experience in the Texas Academy of Family Physicians (TAFP), serving on various commissions, committees, and task forces, including the Executive Committee and the Board of Directors. She also has been active with Patient-Centered Medical Home projects, serving as one of the founding members of the Texas Medical Home Initiative and as the Chair of the TAFP’s Section on the Medical Home.